The Rodian Gallery Hotel Apartments is centrally located in Rhodes, just 100 metres from Aquarium Beach and 1.5 km from the Old Town. It features air-conditioned apartments with free Wi-Fi and balcony with views of the Aegean Sea. Situated on a hillside location, a 10-minute walk from Pefki Beach in Rhodes, Finas Hotel offers a swimming pool and a restaurant. 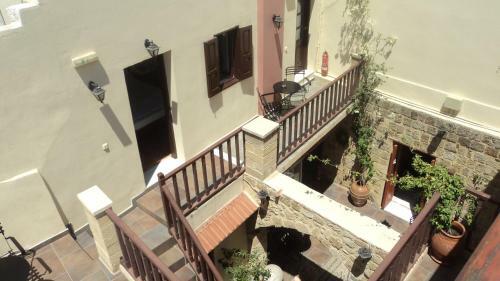 It features air-conditioned studios with a balcony overlooking the Aegean Sea. Located 1.5 km away from the centre of Rhodes Town, Panorama Hotel Apartments offers self-catering accommodation with views over the complex�s swimming pool. It includes a restaurant with International cuisine and a poolside bar. 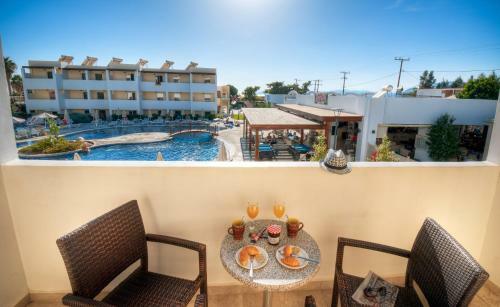 The 3-star Mitsis La Vita Hotel is located right on the pebbled beach, near the Aquarium in the main town of Rhodes. It has a lobby bar and a swimming pool, and offers accommodation with a satellite TV. Located in the medieval town of Rhodes, the stone-built Camelot Hotel boasts a communal mosaic-tiled courtyard and free Wi-Fi access throughout. The spacious accommodation overlooks the picturesque harbour or courtyard. Sabina is located in Theologos only 100m from the beach with water sports facilities and 5km from the airport. Virginia Hotel sits on a private property of 32,000 square metres. It features a restaurant with terrace, 4 pools, 2 bars and air-conditioned rooms with balcony. It is 5 km from Rhodes Town, near Koskinou village. This central hotel offers comfortable accommodation and a friendly atmosphere, within walking distance of Rhodes' main attractions. 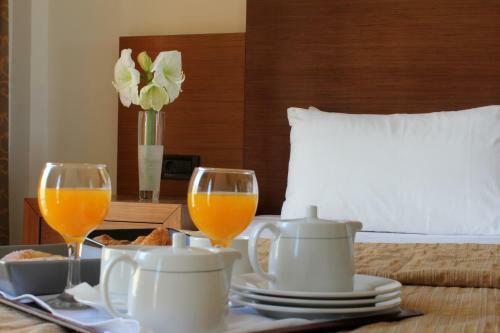 The rooms at Manousos City Hotel are tastefully decorated and well-appointed with air conditioning and satellite TV. 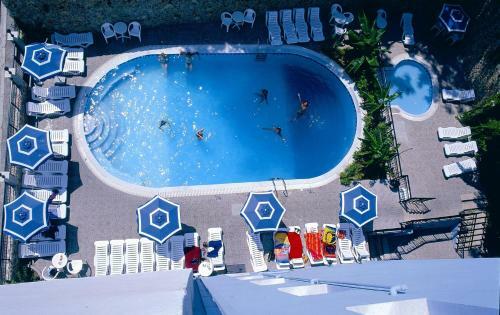 Situated just 50 metres from Pefkos main beach, Matina Pefkos Aparthotel offers 2 large swimming pools and 2 separate children pools. A restaurant with Greek and Mediterranean dishes, 2 bars and a children's playground are also featured. Situated in Pefkos main beach, Lindia Thalassa offers an outdoor pool, restaurant and snack bar. It features studios and rooms with a balcony overlooking the sea. The village centre with supermarkets and shops is 500 metres away. Situated in Rhodes town, right across Rhodes Casino and only 100 metres from Elli beach, Aquamare Hotel offers rooms with balcony. It serves buffet breakfast and it has a swimming pool. Free WiFi is available throughout. 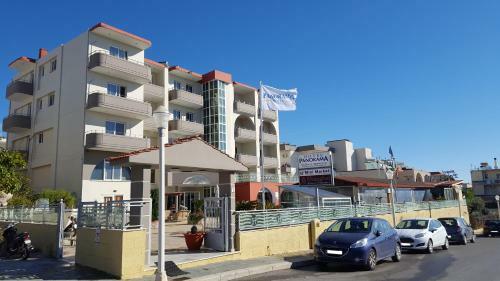 Agla Hotel enjoys a quiet location 50 metres from the beach and just a 5-minute walk from Rhodes town centre. It offers a swimming pool with sun beds and umbrellas and air-conditioned rooms with balcony. With a central location in Rhodes Town, Esperia Hotel is only 100 metres from the beach. It features a swimming pool with a sun-lounger terrace, and offers an American buffet breakfast. Situated in the heart of Rhodes town, Atlantis City Hotel offers modern accommodation and a rich American breakfast. Akti Miaouli Beach is within a 250-metre distance. 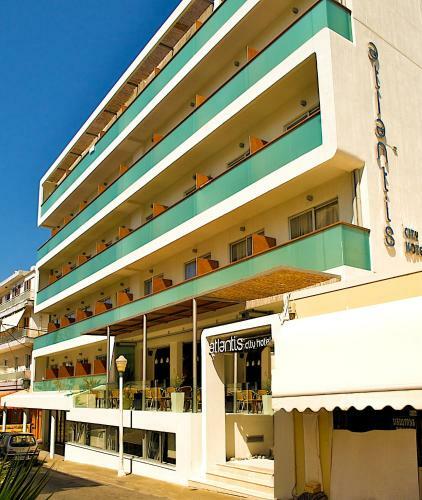 Athena Hotel is a modern hotel in the heart of Rhodes Town, only 50 meters from the beach. The hotel�s restaurant serves buffet breakfast. 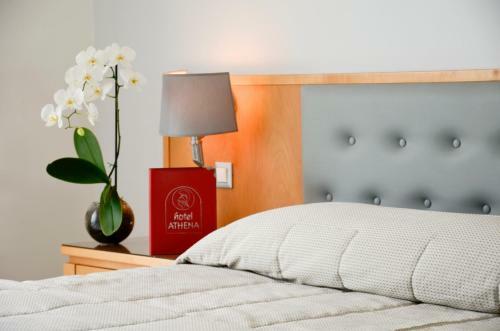 Athena Hotel boasts a host of modern facilities as well as conference facilities.